Begusarai, also famous as ‘Industrial Capital of Bihar’ is an important city located in northern part of Indian state of Bihar. Begusarai is well equipped with all major utility services. Public utilities are basically provided by Begusarai Nagar Nigam and state government. Besides, several private utility service providers are also present to serve citizens in this city. Utility services are necessary for development of any place and Begusarai also offers a wide range of such services ranging from health care services to safety arrangements, postal services to banking services, telecom services to transport services for its residents. Begusarai Nagar Nigam looks after overall development of the city. Begusarai is governed by Begusarai Nagar Nigam which provides essential public utility services in the city. Begusarai Nagar Nigam comprises of 45 administrative wards and provides all civic amenities in the city. It manages water and power supply, sanitation, sewage system, health care facilities, education and infrastructure, revenue generation, road construction and maintenance, birth and death records in the city. Begusarai Nagar Nigam manages infrastructural facilities as well as ensures public welfare in the city. Begusarai Nagar Nigam is mainly responsible for managing public health care services in the city. At present, a number of public hospitals as well as private hospitals, nursing homes and clinics are present in Begusarai to provide medical aid to the citizens. Besides, numerous pharmaceutical stores, pathology labs and experienced doctors are also present to help people seeking medical assistance in this part of Bihar. Thus, Begusarai is well equipped with all sorts of health care services. Blood banks are necessary for arranging blood in case of emergency and for medical purpose. In case of any mishap or medical emergency, blood is needed for blood transfusion to save life of victim or patient. Thus, it is inevitable to keep all necessary arrangements for blood storage updated. As in other parts of Bihar, several blood banks have also been established across the district of Begusarai. Some of these blood banks are supported by NACO, Indian Red Cross Society, Bihar Blood Bank. Along with several others are supported by NGO’s and charitable organizations. Many public and private organizations in Begusarai consistently work to encourage people for blood donation and organize blood donation camps from time to time to collect blood for future usage. Safety and security of the residents matter most for safe and healthy living at any place. District Police overlooks safety measurements in the city of Begusarai. It ensures proper safety and security of the citizens as well as maintains law and order in the city. To keep vigil on all suspicious activities and prevent violence, several police stations have been located across the entire district and 11 out posts are also established within Begusarai district to prevent any type of extremist activity in the region. It also aims to establish peace and harmony among the citizens by encouraging public police cooperation in this part of Bihar. Banking services are quite good in Begusarai as innumerable nationalized and private banks are present offering all types of banking and financial services for customers in this city. Thanks to large numbers of major bank branches, this is quite easy to locate nearest branch of any leading bank in Begusarai. 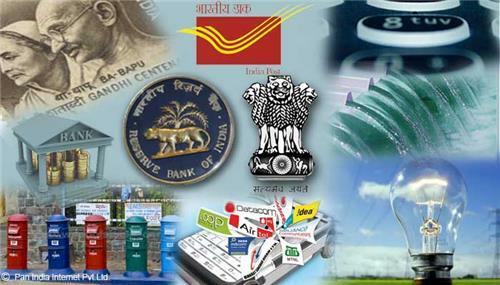 Punjab National Bank, Central Bank of India, State Bank of India, Allahabad Bank, Axis Bank, Bank of India, Bank of Baroda, ICICI, HDFC Bank, Indian Bank, Canara Bank, Union Bank of India, United Bank of India, Indian Overseas Bank, Dena Bank, IDBI Bank, Bhingar Urban Coop Bank, Syndicate Bank, Oriental Bank of Commerce are some of the major banks having their branches and ATMs located across district of Begusarai. With the passing years, telecom services has updated and become an integral part of our daily life. All major telecom companies are providing their telecommunication services in the district of Begusarai. Considering day by day increasing demand of telecom and broadband services in Begusarai, several renowned telecom companies have established their branches to provide communication services in the city. BSNL, Vodafone, Reliance, Idea and Airtel are main telecom and broadband service providers in Begusarai. Along with MTS and Sify Broadband are also providing internet services in Begusarai. Begusarai avails good transport facilities as it has a good network of road ways. It is well connected by roads within district and with all other major cities of the state. NH 28 and NH 31, two major national highways cross through this district providing it smooth connectivity with major cities of the country. Buses are main mode of local transportation in Begusarai. Bus services for local transportation and long routes are provided by Bihar State Road Transport Corporation. Along with, several private players are also active in providing bus services within state and for nearby cities of surrounding regions. Autos, tempos, man pulled cycle-rickshaws are also popular modes of local transportation in this part of Bihar. Hence, all major utility services can be easily availed in city of Begusarai. District police manages security and Begusarai Nagar Nigam ensures infrastructural development and proper availability of all civic amenities for public welfare in this city. Health care services are also satisfactory and enhancing with the time. Banks, ATMs, post offices, hospitals, telecom services and all such utilities are upgrading and developing steadily ensuring easy access to these services and convenience for the citizens in Begusarai.